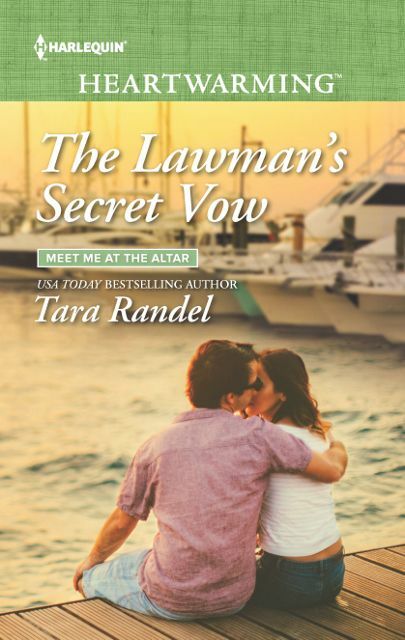 I'm so excited about the release of The Lawman's Secret Vow, the first book in the new Meet Me At the Altar series. It is available August 1, 2018. I had so much fun writing about the Matthews brothers in The Bridal Bouquet, that I had to find a way to give each one their own story. Each is a member of law enforcement and each is very single. But all that is about to change. When their widowed mother decides she is ready to start dating again, the brothers aren't thrilled. But when they can't find any background information on the man in question, their trouble antennas go haywire. Who is this man? And why is their mother being so secretive about him? In the first book of the series, Dante Matthews and Eloise Archer, both police detectives, are paired up, pretending to be a newly married couple while they infiltrate a car theft ring. Problem is, they discover feelings for each other while undercover. Can they work together and keep their emotions in check? Or are they in danger of falling in love? They also find information that leads to a new direction concerning their mother's boyfriend, a direction they never saw coming. Book two in the series, His Honor, Her Family, continues the brothers quest to find out more about the man their mother has fallen for. I have always been a big fan of anything law enforcement, from books, television series and moves. It was such a thrill and honor to write about the men and woman who serve and protect us. Plus, I got to work with some of my law enforcement friends, which is always a treat. I hope you enjoy The Lawman's Secret Vow as much as I enjoyed writing the story.